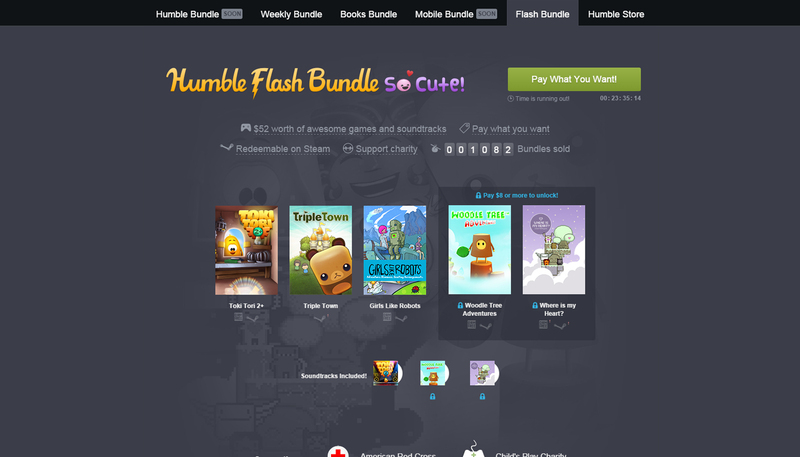 Humble Flash Bundle: So Cute! Woodle is in it! I’m super hap­py to announce that Woo­dle Tree is in the new Hum­ble Flash Bun­dle! This bun­dle lasts only 24 hours, so hur­ry up! Tok­i­Tori 2+, Triple Town, Girls Like Robots and Where is My Heart. There lasts months were great, since the launch day (On 9th of June), Woo­dle has sold over 4000 copies! if you would like to know more about the game devel­op­ment and mar­ket­ing, don’t hes­i­tate to ask, I’ll write a new long post about it.